In her second interview with a faculty member teaching in the University of Redlands’ popular study abroad program in Salzburg, Austria, Carolyn Swint ’18—herself a Salzburg Program alumna—interviews Professor Kathy Feeley, who will be teaching the Global Cinemas class in Salzburg next spring. 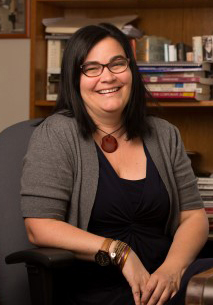 History Professor Kathy Feeley, who will be teaching a Salzburg class called Global Cinemas, has professional interests in entertainment and popular culture. Carolyn Swint: What is a summary of your class? And why do you think it is important to be taught abroad? Kathy Feeley: I will be teaching a new course, Global Cinemas, created for Salzburg, that will look at the establishment and development of a number of national film industries, including the United States, Germany, Austria, and Russia over the last century and more. Being located in Salzburg will provide access to Salzburg’s Panorama Museum, which offers good examples of mid-1800s experimentation in visual culture that led to the development of film technology. There is also the Bavaria Film Stadt (or Studio) tour in Munich, Salzburg’s local cinemas, and The Sound of Music experience. CS: What is your desire for teaching in Salzburg? 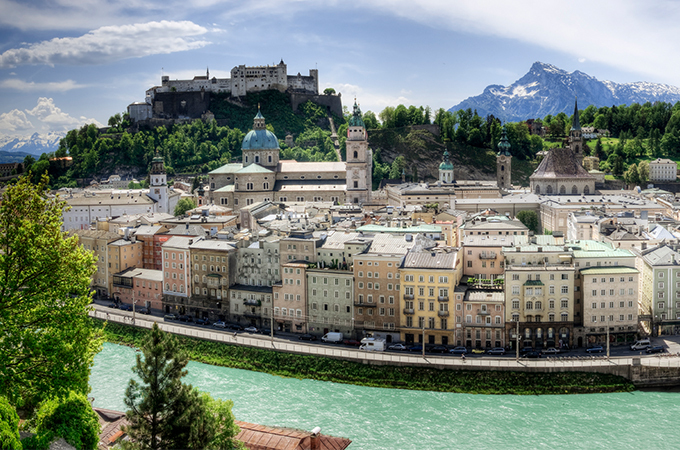 What are you looking forward to most about your time teaching in Salzburg? KF: I have never been to Salzburg before and I’ve heard a lot about the Salzburg program through my many students who have gone. I want to be a part of the life of the program, see the facility, teach my new class, and participate in the excursions that the Salzburg program offers. Plus, I haven’t done a travel course before so I am excited to dip my toes into that, as well as develop a new course that I will bring back to campus. CS: Have you had any international experience in the past—studying, teaching, research, etc.? If yes, what was your experience like? KF: I studied abroad myself as an undergraduate in Manchester, England, and it was a very important and life-changing experience. I studied the Industrial Revolution and worked in a British pub, as well as traveled throughout Europe. I’m also excited to use my Salzburg experience to teach in global studies and build this comparative, experiential course. CS: What made you decide on the fall or spring semester? KF: I am going on sabbatical the 2018-19 academic year, and spring was open! Plus, I like winter, and I’m really excited about the weather and access to good public transportation. CS: What is a fun fact that you think your future Salzburg students should know about you? KF: The first time I flew on a plane and left North America was when I went on my study abroad experience in college. See also Swint’s interview with Professor Joanna Bieri, who will be teaching a class called Mathematics in Art, Architecture, and Music in Salzburg in the fall.